By now you should be familiar with fashion mogul Ralph Lauren's classic car collection, which includes the rarest and most beautiful cars ever built and has been on a traveling show around the world. But how do you install a car in a museum? The job of moving a vehicle into a museum or public space is apparently more difficult than you'd imagine considering the cars, unlike most Picassos, come with wheels and a motor. Recently, the Portland Art Museum moved in some cars from collectors like Lauren for the exhibit "Allure of the Automobile." The biggest challenge? 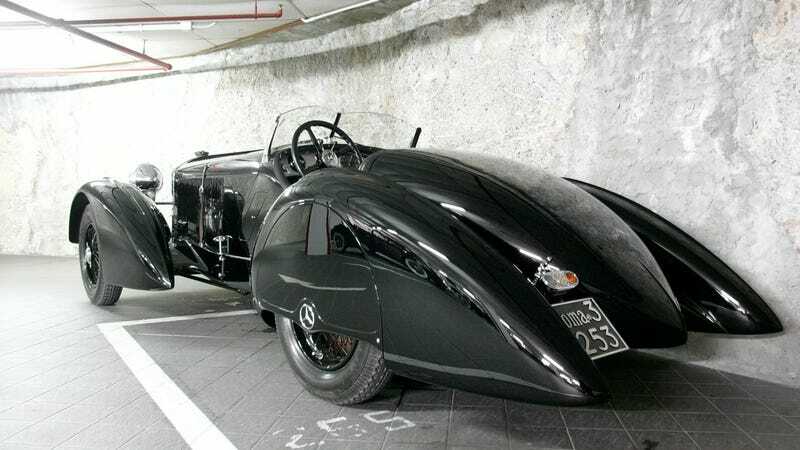 Those pre-war cars— like Lauren's vintage Benz pictured above — are freaking huge.